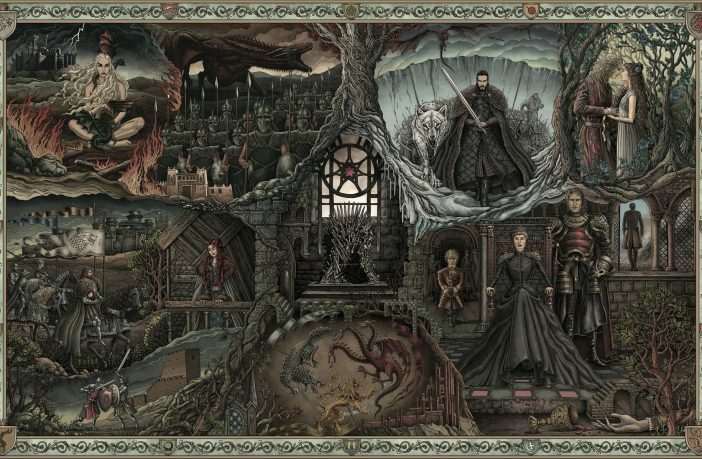 For seven years Game of Thrones entertained us with its intricate and complicated web of stories, reminding us that while our families may be dysfunctional, at least they’re not “Lannister dysfunctional.” Because let’s face it, there’s enough complexes and internal turmoil in each Game of Throne family to keep any psychiatrist busy for years. With HBO ramping up its promotional content and marketing for its eighth and final season of this beloved show, a new teaser is now out. Different than what we’re use to, this :45 sec teaser beautifully threads together the major players through important moments from the saga and reminding us how this is really all just a family affair. HBO called on the help of production company Mirari + Co to produce this animated teaser. Evident within the trailer are quotes from the show and through “utilizing advanced particle and rendering effect”, the company’s created a showcase of realistic tapestry art in CG space. 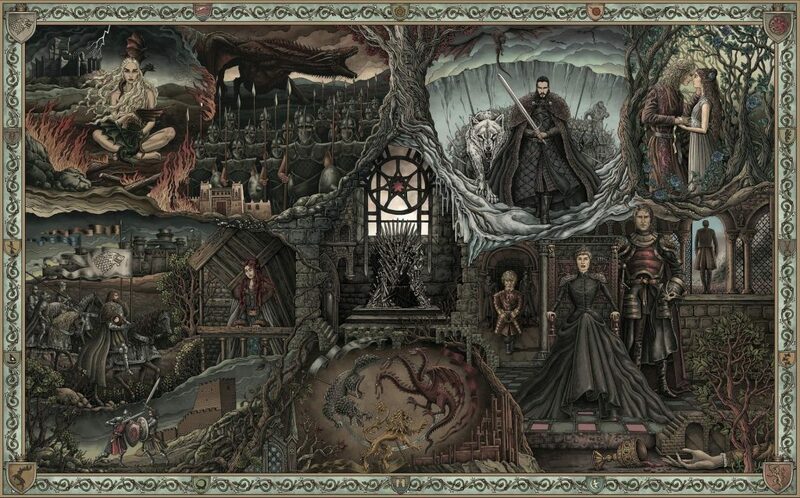 Just as beautiful is the full image designed by Deviant Art artist bubug, all laid out. Anyone need a new desktop wallpaper?